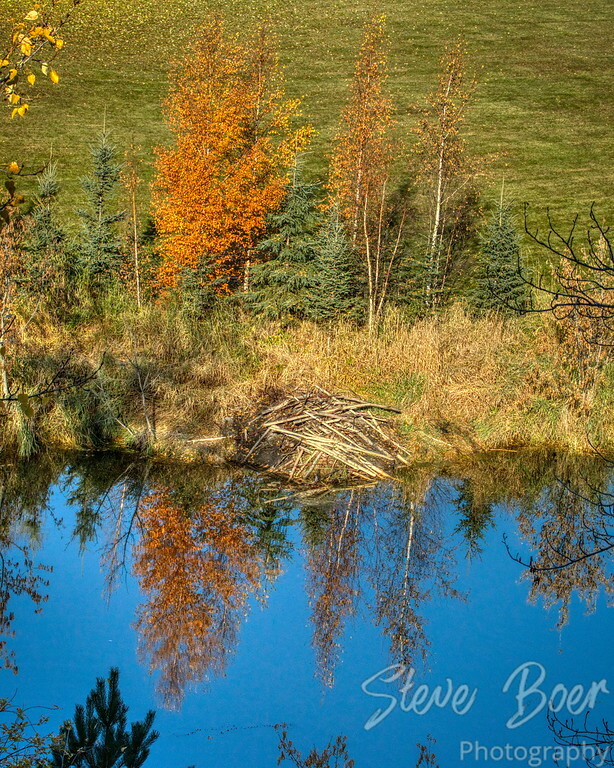 A beaver lodge with some fall colours and reflections taken from my balcony. We enjoyed watching the beavers build it right across from our condo over the past spring and summer. We haven’t seen them for a few weeks now though, I don’t know where they went. 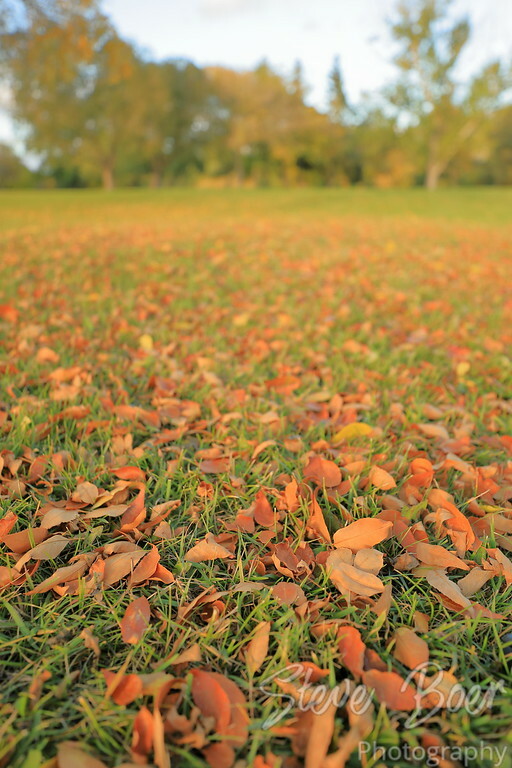 A field of fallen leaves near our condo in St. Albert. Autumn arrived rather early this year. 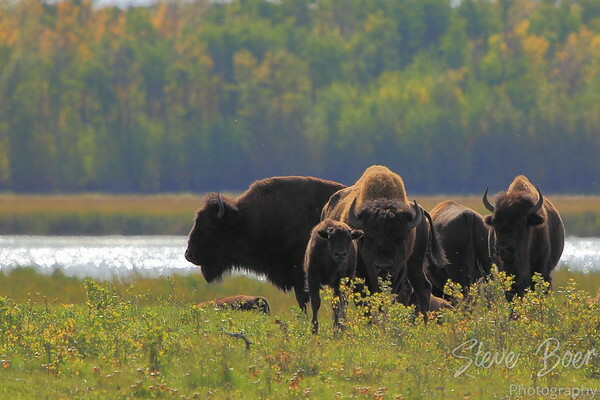 A small group of bison in Elk Island National Park, Alberta. 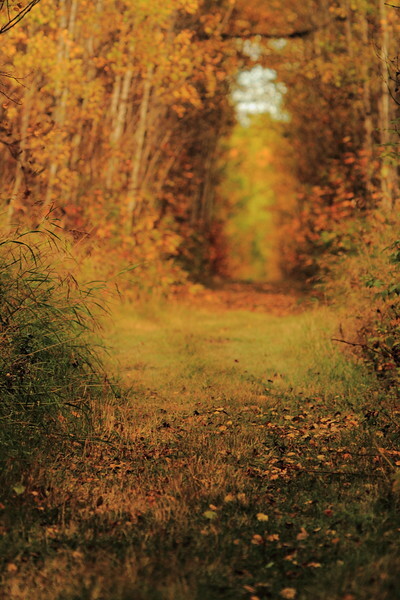 Looking up the path on a trail in Elk Island National Park, Alberta. 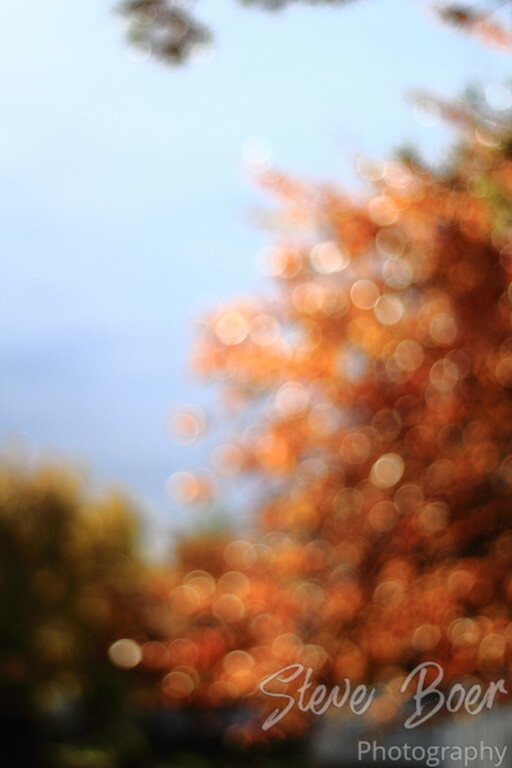 Just a quick shot of an autumn treetop. 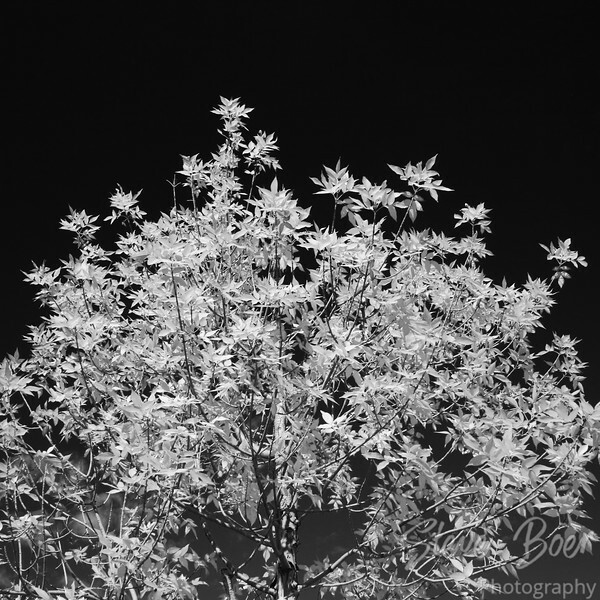 Converting it to black and white really showed the contrast between the leaves and the sky, which was made even darker thanks to the circular polarizer I had on my lens. I’ve tried a few times to get a nice shot into the sun where it ends up as a small star-burst in the photo. Until now they’ve usually ended up with lots of lens flare and/or just being blown out. This time it turned out much better. I’m not sure what the difference was, as I used a small aperture previously as well. 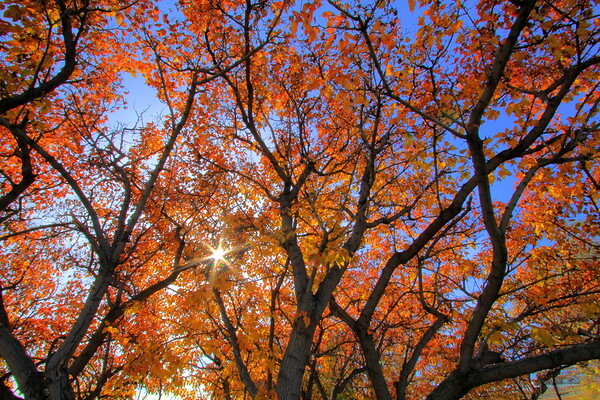 Maybe the higher ISO setting, or getting the sun partially obscured by the branch. Either way I’m pretty happy with how this shot turned out.